After the last trip to Sälen we packed the car once again and headed of to Romme Alpin. Romme is one of the smallest mountains in Sweden. 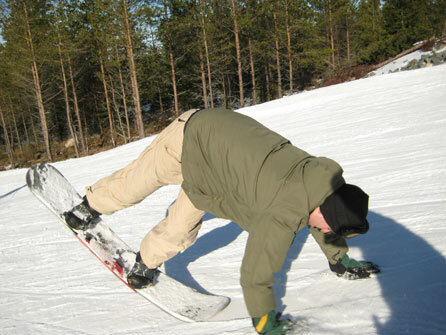 The good thing about Romme is the southern location and the well prepaired slopes. On the bad side you have the simple fact that there are no steep slopes. But once again – it´s easy to access and it´s often sunny. Kalle Normark, young and promising in the 90ies, showing of his skills. After Romme the next destination was Vemdalen. Vemdalen is one of the biggest resorts in Sweden. 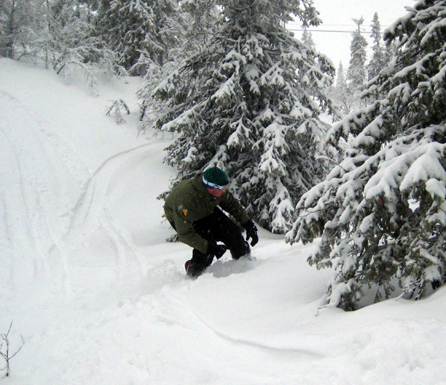 It´s a lot like Sälen – but with much better slopes and even some easy off pist areas. Also you can find good snow within the areas with lots of trees. Magnus turning between the trees in some untouched snow. For the days we spent at Vemdalen the snow kept coming. More than half a metre in 3 days (that´s quite good in Sweden…). 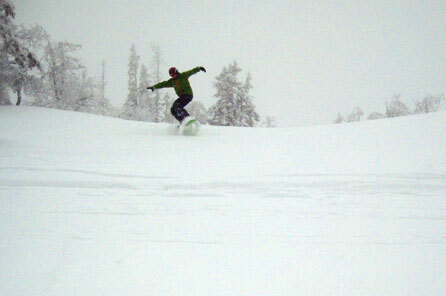 Since we got up really early to catch the first runs we also found some good pow.